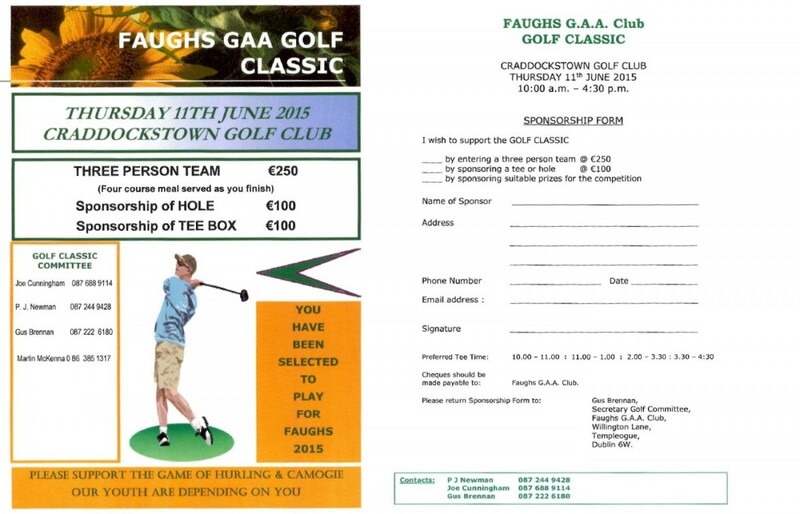 The annual Faughs Golf Classic takes place on Thu 11 June at Craddockstown Golf Club. Always a great day out. Please get in touch with one of the commitee members if you wish to take part. Also,we’re looking for sponsors so if you know anyone who would consider sponsoring a prize, tee or hole please get in touch. Thanks.